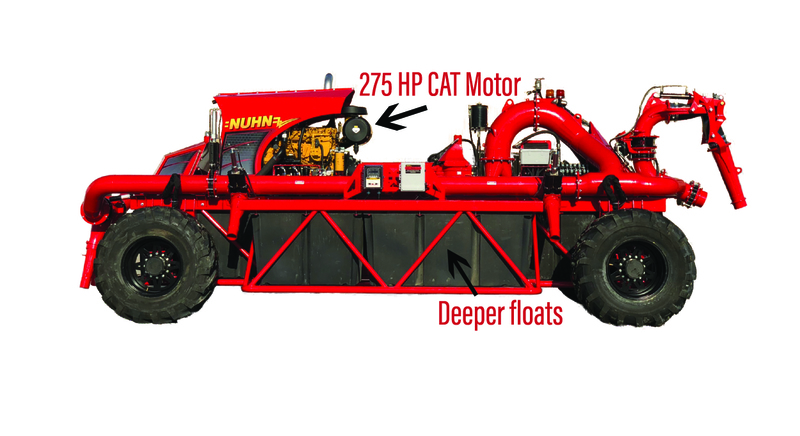 Providing innovative solutions is something we pride ourselves on, and when we first came across the Nuhn lagoon crawler, we knew it was a product that would be useful to our customers. 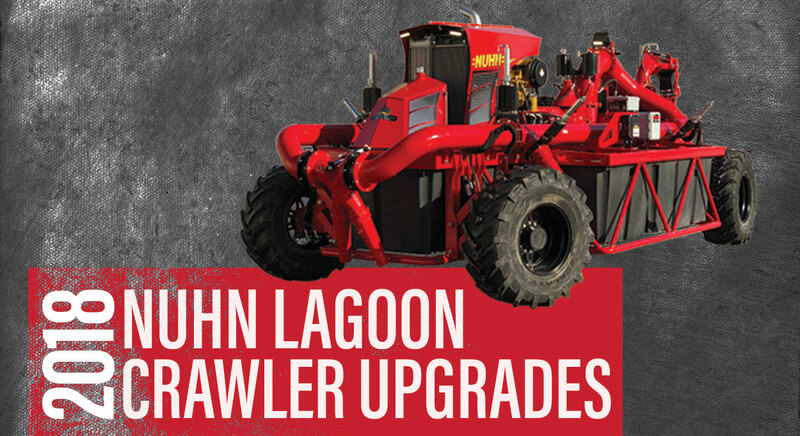 Since the first crawlers arrived in Hills in 2015, they have certainly been the most intriguing product on our lot. 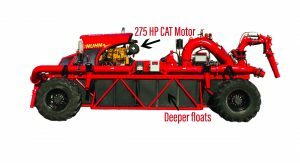 This year, Nuhn has integrated some major upgrades to make the crawler more effective and efficient. 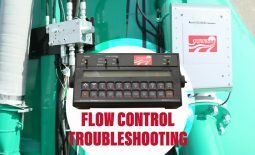 From deeper floats and a user-friendly belly pack controller, we are happy to see Nuhn is committed to constant improvement. Although we could bore you with the feature upgrades in entirety, these are the improvements we are most excited about. »The new large cannon nozzle now is positioned away from the motor radiator which keeps it a lot cleaner. 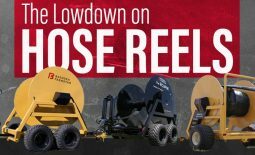 »Who doesn’t like higher volume and more agitation pressure?! The old 10″ pump has been replaced with a 12”. The side pipes have been upgraded to 8″ lending to less friction loss with higher pressures available to the agitation guns. »The original crawler has a white iron housing with the inlet cover, top plate, and impeller constructed of abrasion resistant (AR) steel. These abrasion resistant steel components will now be constructed of white iron. This greatly improves its ability to withstand the wear from sand and lime. »The best upgrade from a maintenance and longevity standpoint is the redesigned a-arms. With a focus on making these arms heavier duty, Nuhn also integrated wear bushings in the pivot points. To combat sand getting in and to keep grease from escaping, there are now seals on bushings. Most agricultural equipment doesn’t apply to the one size fits all mentality. 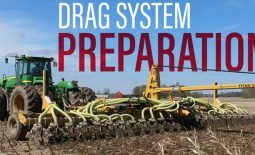 Bazooka Farmstar’s hose reel line is no different. Our top picks from the Bazooka line are the Eclipse (2416), 2012, and 1810.